​Managed print services giant Xerox has entered the additive manufacturing space, following its acquisition of US-headquartered Vader, a player in the metal 3D printing area. Announced on 5 February, such a move had been signalled in October last year, when vice chairman and chief executive officer of Xerox Corp John Visentin announced that Xerox was “developing a roadmap to participate in 3D printing”. The company already manufactures printheads used across the additive manufacturing sector, in fact. Vader’s patented Magnet-o-Jet technology utilises the control and precision of an electromagnetic field to propel heat-liquefied metals to produce high integrity parts, faster. 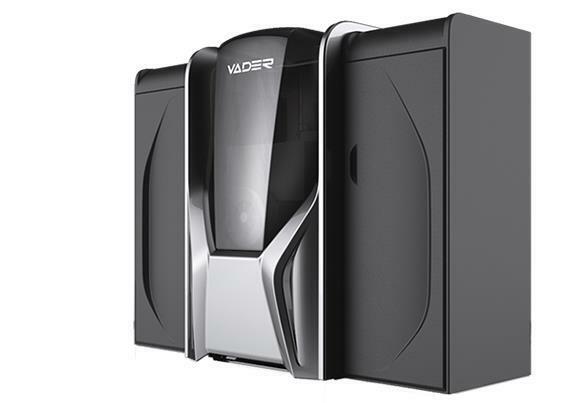 The Vader System delivers 1,000 droplets per second at micron level accuracy, while doubling the speed of conventional 3D powder bed metal printers, it is claimed. This is used in the company’s Polaris System, a unit with a working envelope of 305 by 305 by 305 mm. The company’s roots are in 2011. Aluminium 4043 is the core material, with wire feedstock, rather than powders, allowing the Vader System to offer significantly reduced operating expenses and dramatically reduced time for near net shape parts. Materials in qualification are: A356, 1100, 2319, 4047, 6061 and 7075, plus bronze and copper. The machine is controlled via a state-of-the-art touchscreen user interface, with access to all process parameters. Technical highlights of the process are a droplet rate of 300- 500 micron, a max Load of 40 kg, volumetric build rates up to 0.45 kg/h and delivery of isotropic material properties and support for complex geometries. Parts up to 99.5% density are delivered. Versus other technologies, waste is reduced (98%+ material yield), while cost savings of up to 90% per part over existing technologies are claimed. Xerox has also indicated that it will be moving into 3D printing of plastic materials, too, offering a process that is 10x faster and using lower cost powders. 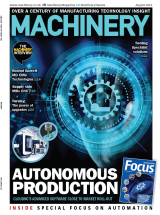 Manufacturing software that makes use of artificial intelligence is also part of the company’s 3D printing roadmap. Currently signalled as being at the technology demonstrator stage, the company indicates that its technology will start to become available from 2020.